Designed to discourage pulling while the dog is on a leash. Quick snap buckle for easy on and off. Complementary color of belly strap makes it attractive yet easy to identify the parts. Girth adjusts to 26-36 inches. 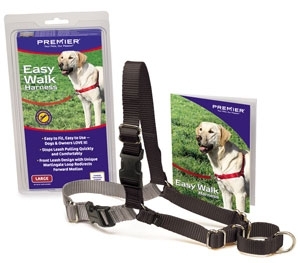 Designed to discourage pulling while the dog is on a leash. Quick snap buckle for easy on and off. Complementary color of belly strap makes it attractive yet easy to identify the parts. Girth adjusts to 20-28 inches. 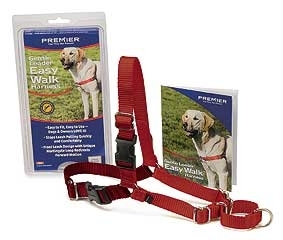 Designed to discourage pulling while the dog is on a leash. Quick snap buckle for easy on and off. Complementary color of belly strap makes it attractive yet easy to identify the parts. Girth adjusts to 15-20 inches.